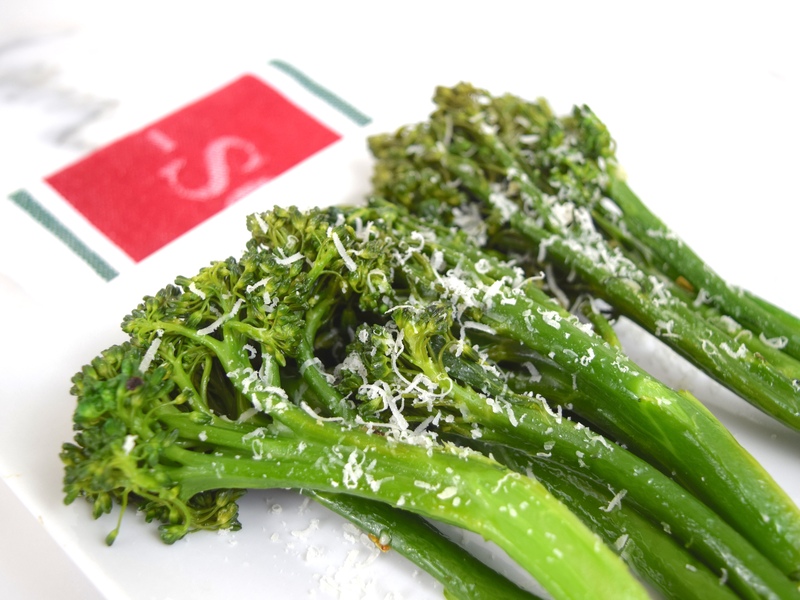 Broccolini is a cross between regular broccoli and Chinese kale, so it is a very nutritious vegetable. I have seen it many times at Trader Joe’s, but I have always been a little hesitant to buy it. When I came across the “Garlicky Broccolini” recipe in America’s Test Kitchen, Cooking Fresh, 2015, I decided to buy it! For me, steaming my vegetables, then quickly sautéing is a foolproof method for cooking vegetables and that’s exactly what I did. 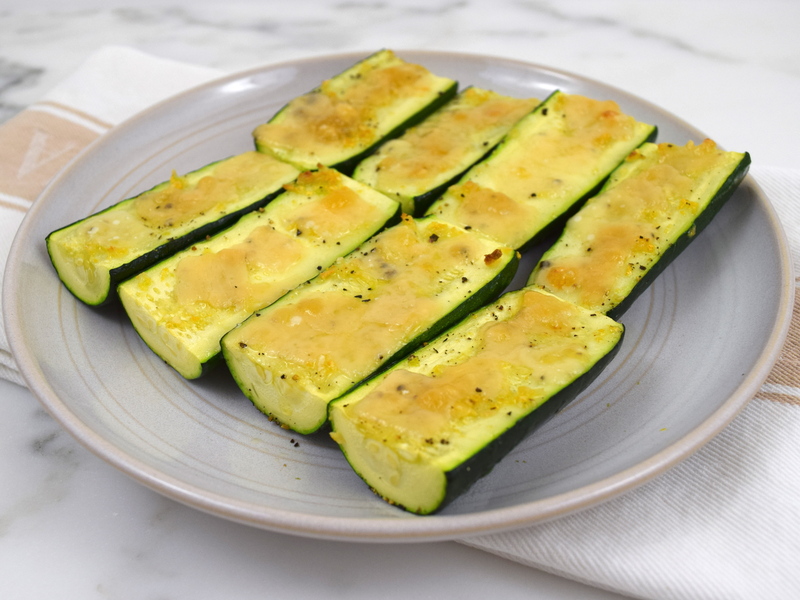 This healthy and easy vegetable side has my favorite flavors of garlic and Parmesan cheese with the extra “kick” of the red pepper flakes! 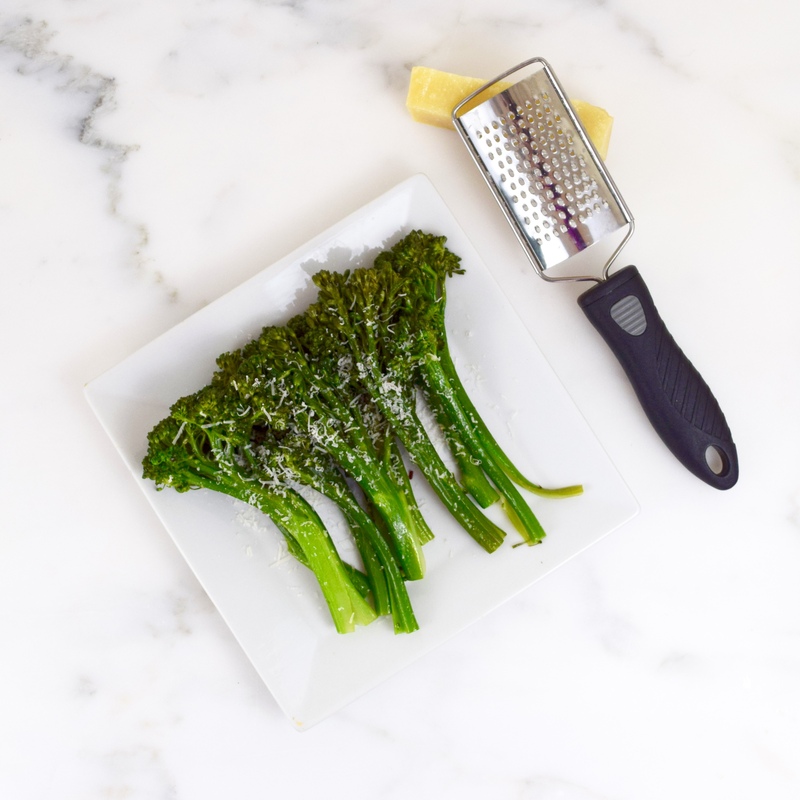 Trim the broccolini by cutting off 1-inch of the ends. If the stalks are thicker than a ½-inch, split the stalk bottoms in half about 2-inches from the ends. This will help the broccolini cook more evenly and the tips won’t get over done. 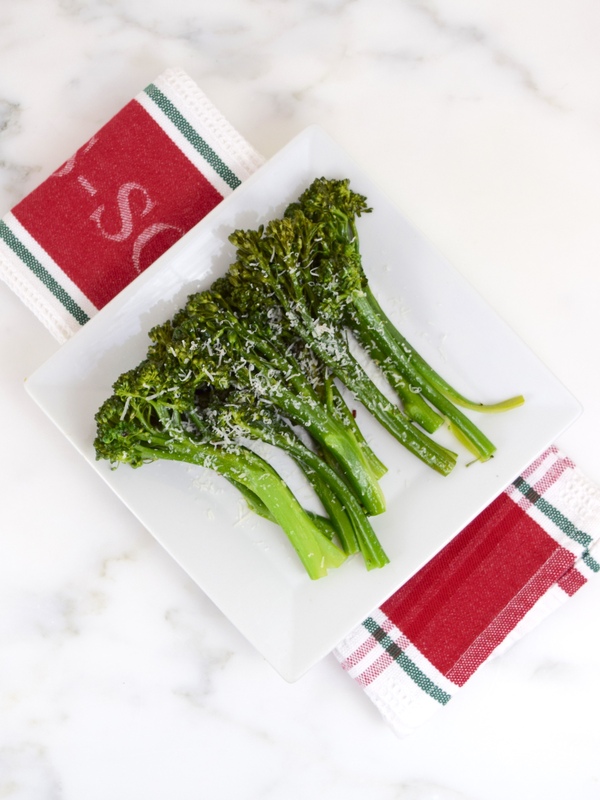 Steam the broccolini, until they are bright green and stalks are tender crisp. Place the steamed vegetable in a plate. Using a large nonstick frying pan, heat the oil over medium heat. Add red pepper flakes and garlic. When the garlic becomes fragrant, about 30 seconds, add the broccolini and toss. Add salt to taste. Transfer to serving dish and sprinkle with Parmesan cheese. Serves 4. 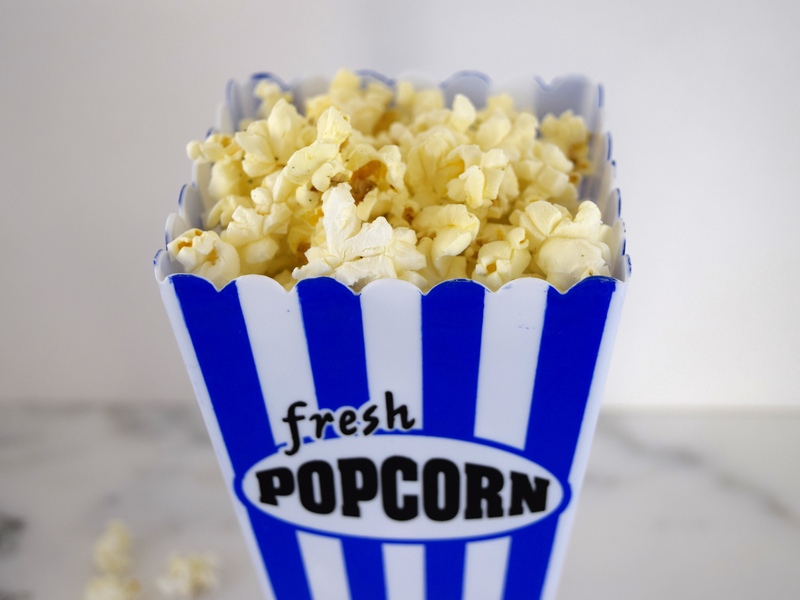 Today, I am going to share with you how I get the seasonings to stick to my homemade microwave popcorn. I mix it with the oil! For a many years, I would sprinkle salt, parmesan cheese, garlic, etc. on my popcorn only to find all the seasonings on the bottom of the bowl! Now, by mixing it with an organic oil that can withstand the heat, I get tasty, delicious and healthy popcorn without all the waste! This is one of my favorite seasonings for popcorn. It consists of only parmesan cheese, oregano, salt and pepper. The cute reusable popcorn containers were purchased at Target for $1.00 each. 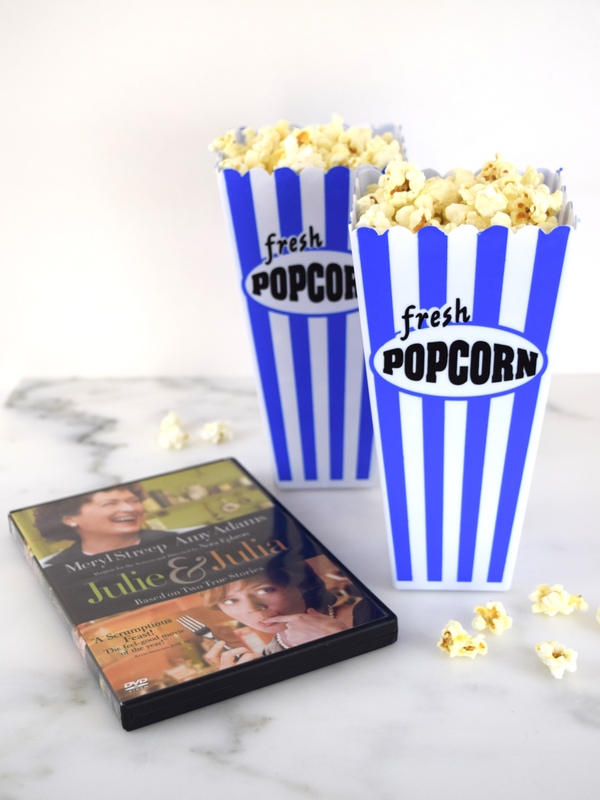 Everything is just perfect for a relaxing movie night at home! Mix the dry ingredients together. Make 5 tablespoons. Store leftovers in an airtight container in the refrigerator. In a small bowl, stir together the coconut oil and the Italian seasonings. Add the popcorn. 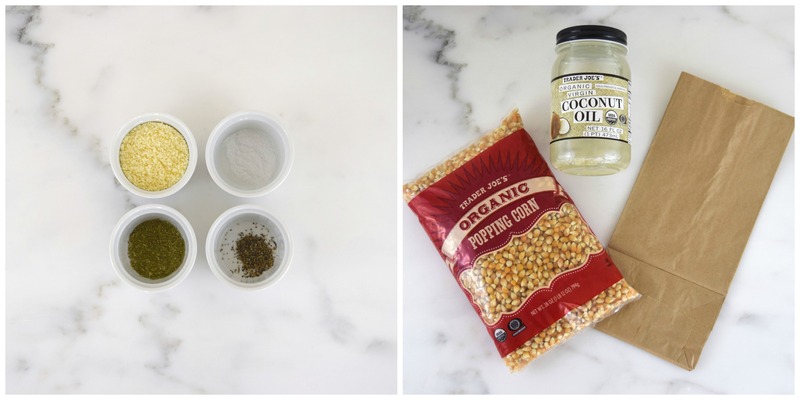 Mix the popcorn kernels, until they are thoroughly coated with the oil and the Italian seasonings. Put popcorn mixture in a paper bag and fold the top of the bag twice. Place a folded paper towel on top of the microwave turntable plate to absorb some of the oil from the paper bag. Cook for 1 minute, 10 seconds on “High” power. Watch carefully, you may have to adjust popping time since each microwave is different. Be careful when taking the bag out of microwave oven, the bottom of will be very hot. Makes 5 cups. Congratulations to Angie, The Novice Gardener, and the other bloggers who have made Fiesta Fridays such a success! I appreciate all your hard work to make it what it is today. Happy First Anniversary to all! Wishing Fiesta Fridays a fabulous second year!!! 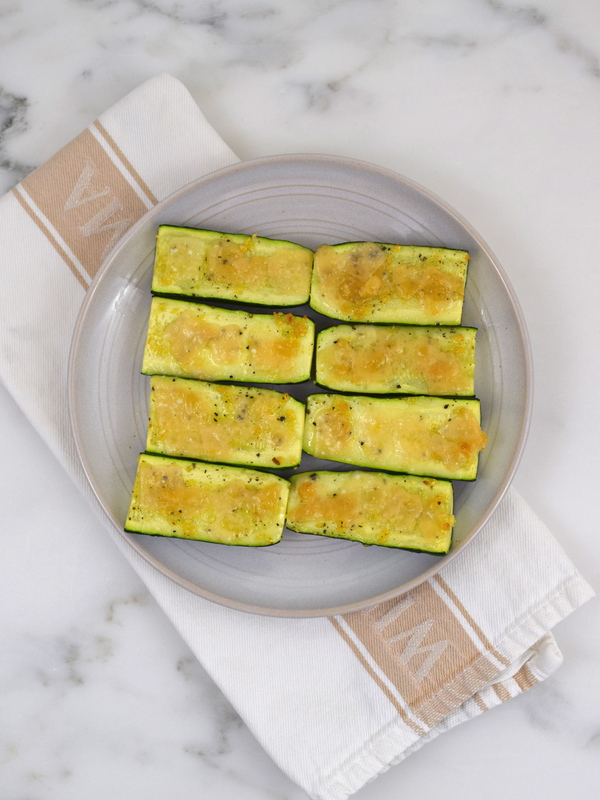 My submission today, is a simple and healthy vegetable dish, zucchini with lemon zest, garlic and Parmesan cheese. 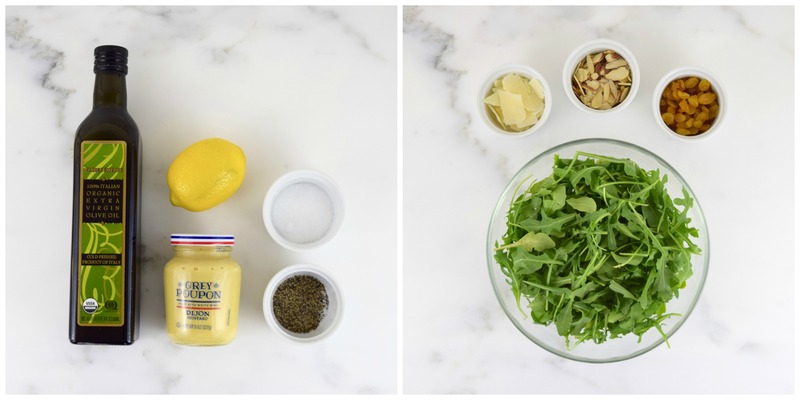 It’s flavorful and going to make a great appetizer for our upcoming Super Bowl party. I came across this recipe on Pinterest, Cooking Classy, and have been waiting to try it. 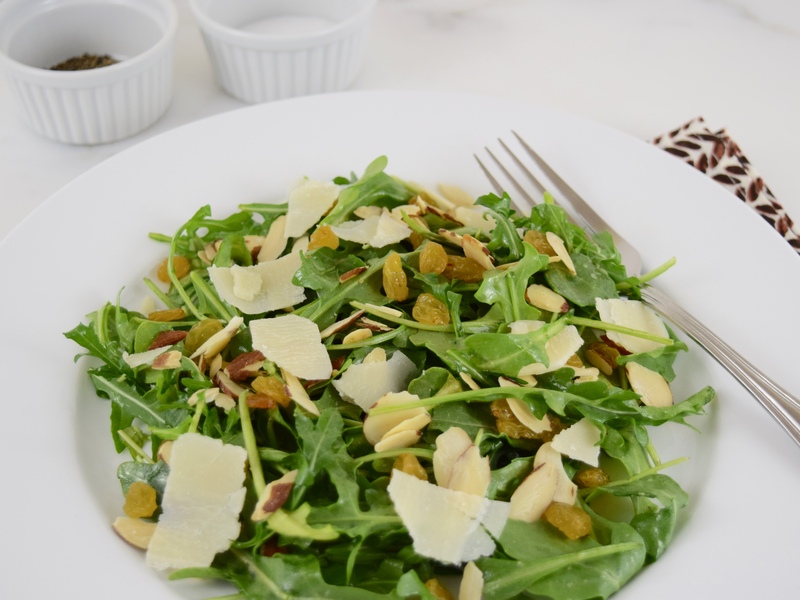 This recipe can easily be reduced or increased depending upon how many people you are serving. 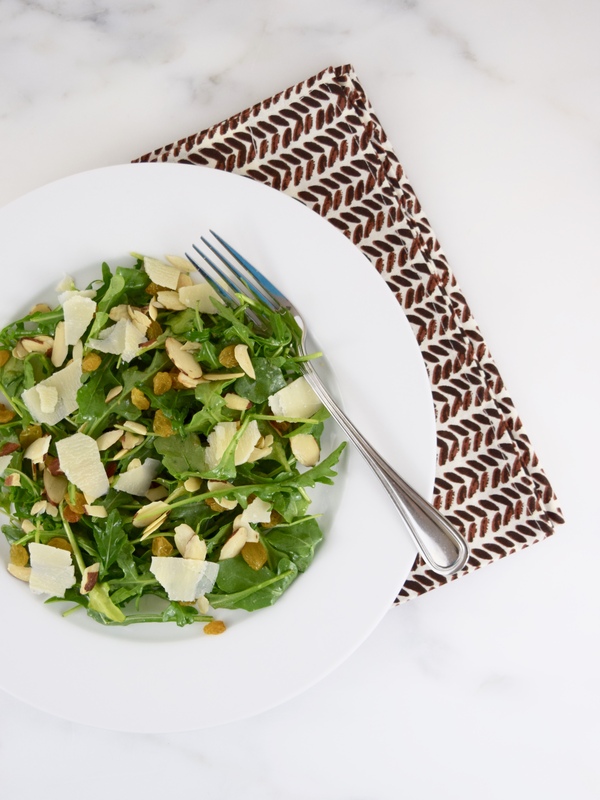 Well, you can never go wrong with lemon zest, garlic and Parmesan cheese! In a small bowl, mix together lemon zest, garlic and olive oil. 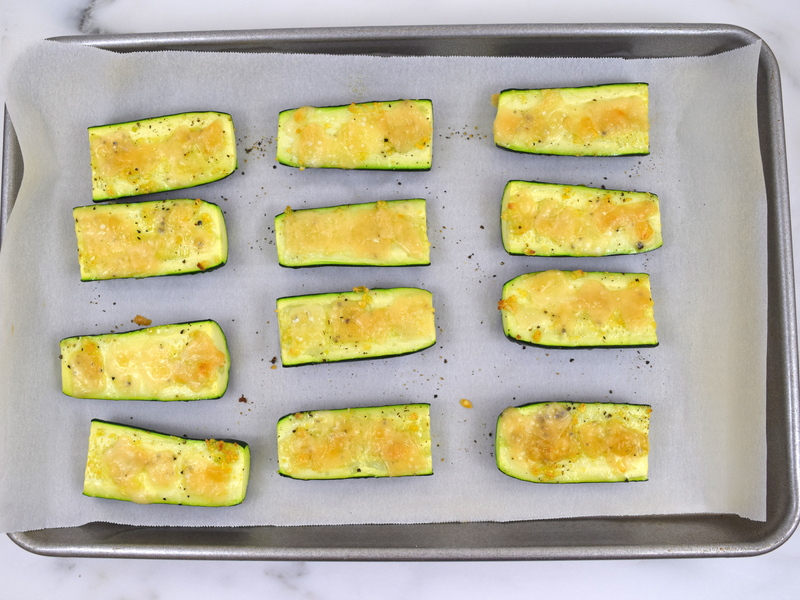 Cut zucchini crosswise and in half. Place vegetables on a parchment lined baking sheet and space evenly. Brush the olive oil mixture on the zucchini. Add salt and pepper to taste. Sprinkle Parmesan cheese. (I used shaved Parmigiano-Reggiano, because that’s what I had in the refrigerator). Bake in oven for about 10 minutes, then move baking sheet closer to the top of oven. Increase temperature to 450 degrees. Remove from oven when cheese has melted and is golden brown. Serve immediately.